While having dinner at the top of the Moki Dugway we could see a trail below. Keith looked on the map and sure enough it’s an off-road trail known as John’s Ridge or John’s Canyon. Immediately the decision was made and we planned to drive it the next night. The trail is graded dirt for most of the 17 miles. A moderate rating is assigned to the first section, but we read it becomes quite difficult on the final section. 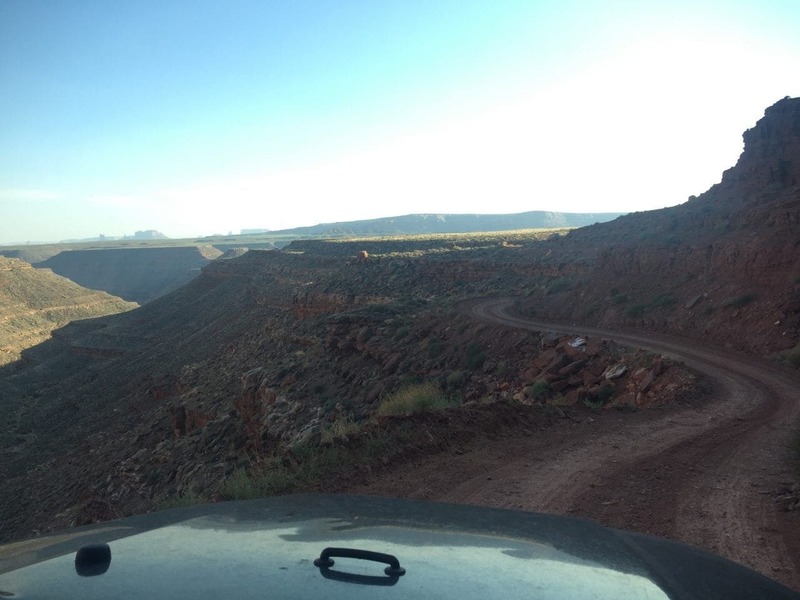 We knew the trail is recommended for high-clearance 4WD vehicles. We were getting a feel for our Jeep and what these ratings actually mean. There is a guideline for the rating, but there are still variances within those parameters. Therefore, a rating of easy/moderate/difficult to one person might not necessarily be the same to another. 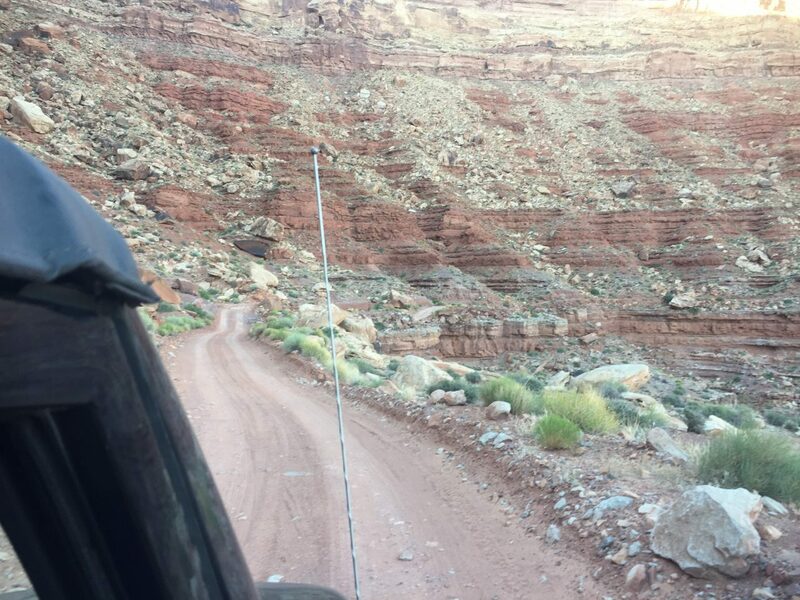 Plus you are dealing with various road conditions; sand, large rocks, narrow passages, single-lane shelf roads, grades, stream crossings, etc. If this is moderate, I don’t want to see difficult! 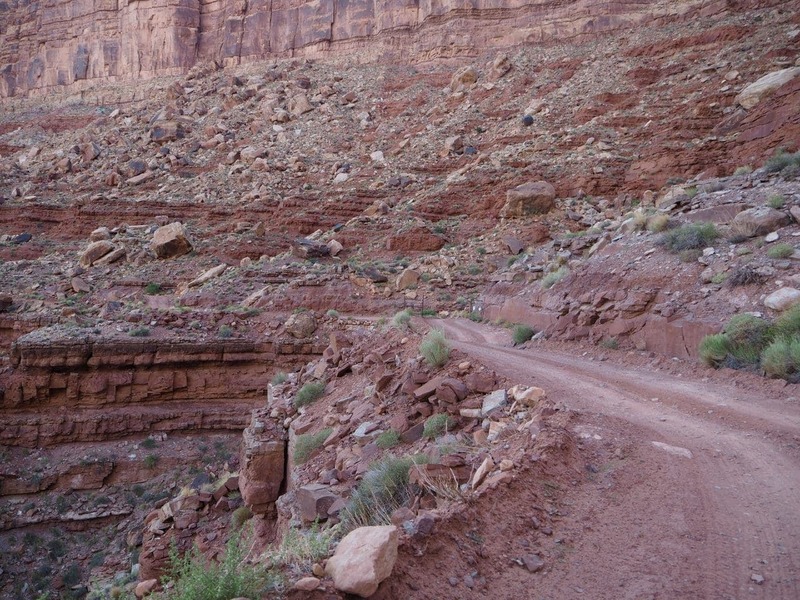 Accessing the canyon is easy, but then all of the sudden we weren’t sure how far to go. It wasn’t long before the conditions changed and we were wondering if we were in over our heads. At least I was wondering, but Keith kept telling me it wasn’t that bad! Looking back now and after some more experience, it wasn’t as terrible as it felt at the time. Off-roading is something I’ve had to get use to and learn a little more about. It seems that we’re constantly learning new things, which I love! 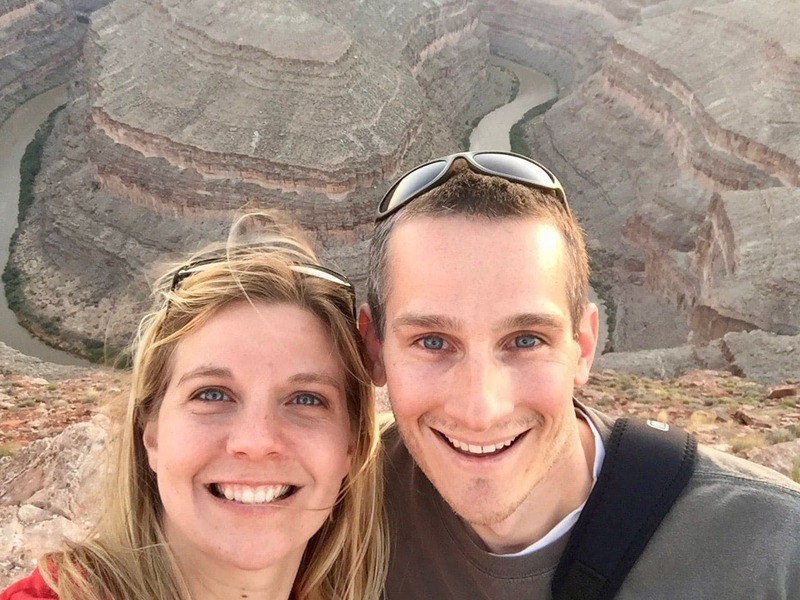 There was a mix of excitement and being scared to death as we bounced around near the edge of the canyon. We had Lexi with us so she seemed to be bouncing right out of my arms! I was trying to capture it on video, but it just isn’t the same. 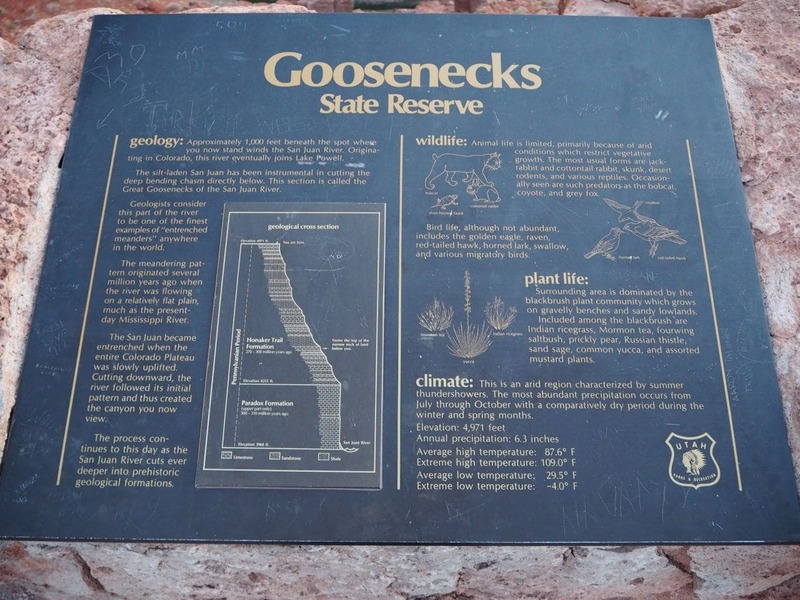 Goosenecks State Park is a small park located along US 163 about 25 miles west of Bluff. 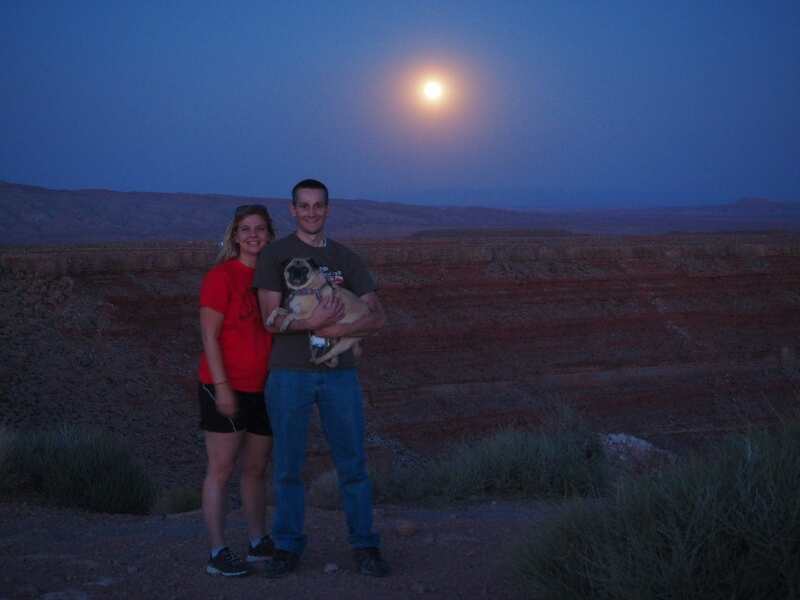 The park offers a picnic area and primitive camping ($10 per night, no services and no dump station). Be advised that there is no drinking water or maintained trails at the park. Also, vault toilets only. 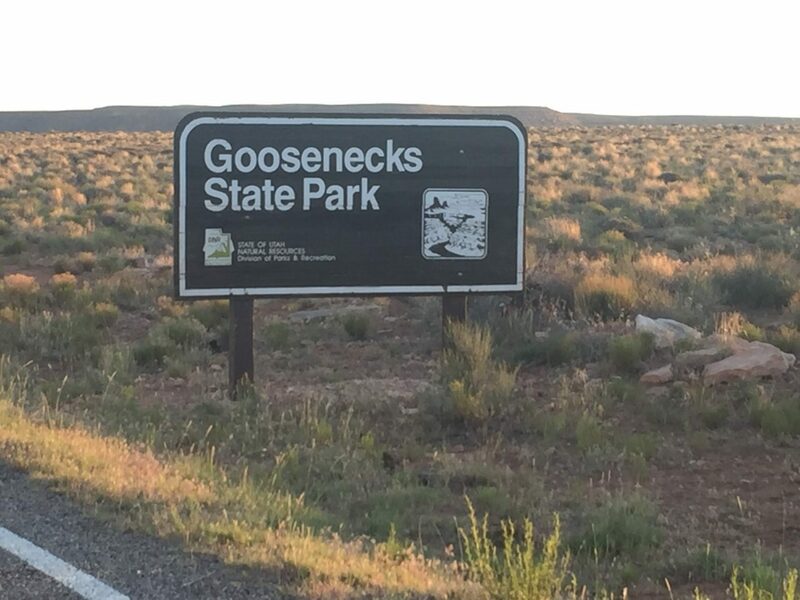 It may not sound like much and honestly there isn’t much there, but Goosenecks State Park is one NOT to miss! The views here are absolutely amazing! You stand about 1,000 feet about the San Juan River. The San Juan River originates in Colorado and eventually joins Lake Powell. This part of the San Juan River flows through a series of twists that are absolutely amazing. 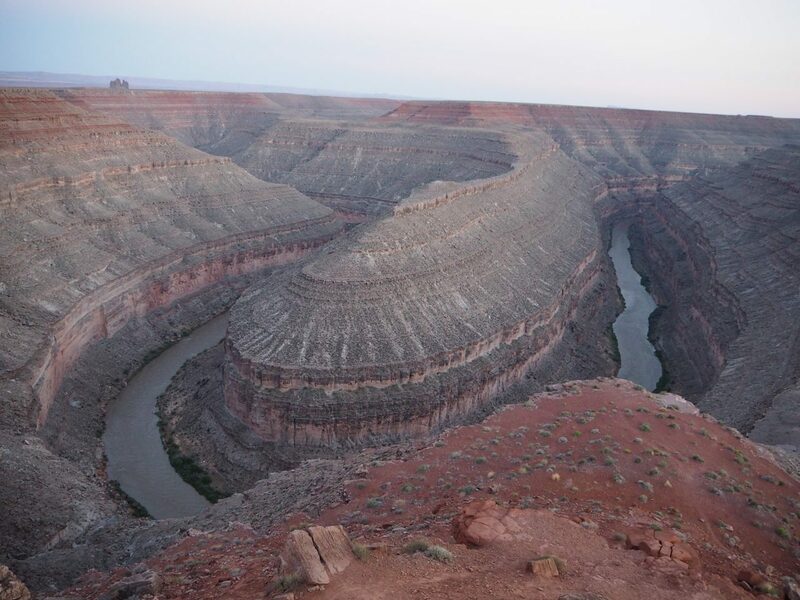 These tight turns are known as the Goosenecks or officially called entrenched meanders. Geologists consider this to be one of the finest examples of entrenched meanders anywhere in the world! Camping here would be top notch for the view! 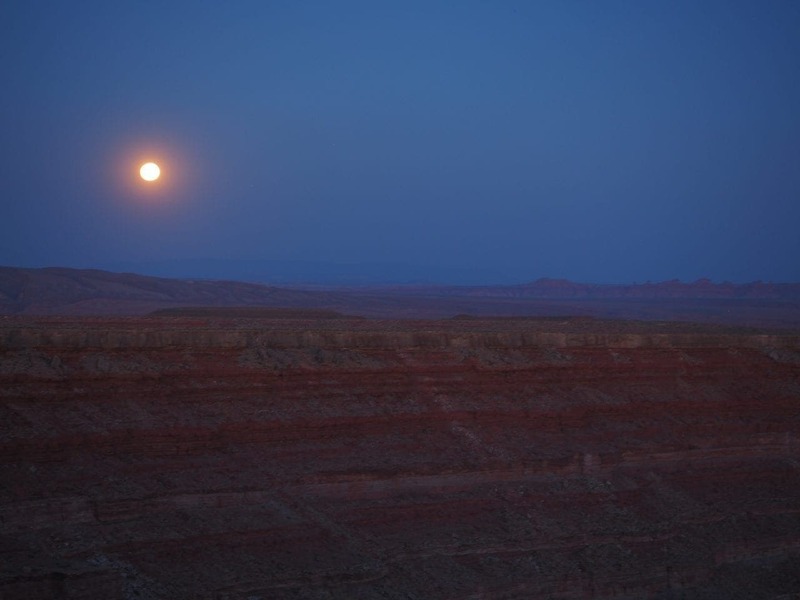 Image waking up to the sunrise over the Goosenecks! It’s on the top of my list for next time and I’ve already picked out a spot! If you look closely, you can see an Airstream in the last picture. That’s the spot I want! 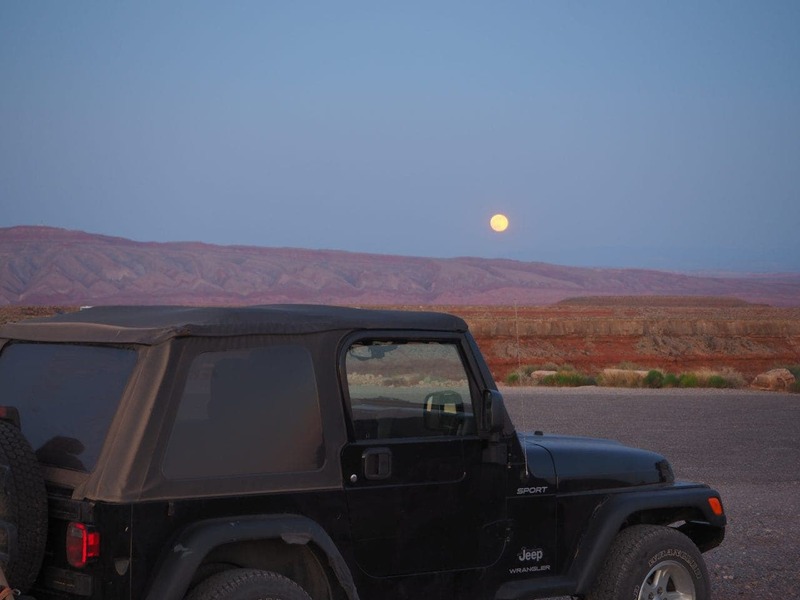 Utah has many areas amazing stargazing experiences. 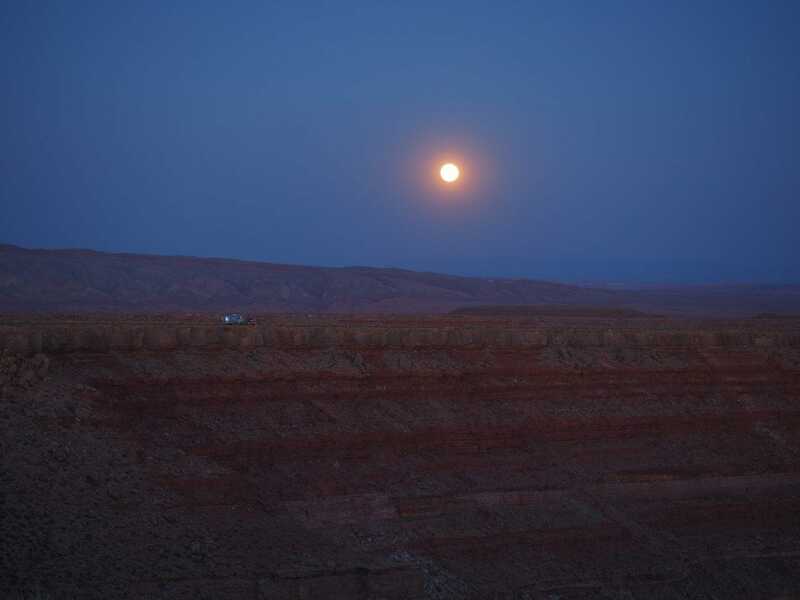 We chose Goosenecks to see the full moon. It was unbelievable watching the sun set and night fall. Then the moon began to give off so much light that it felt like sunrise again! It was unbelievable. Although we didn’t capture it very well on video or in pictures, it was such an awesome experience!